Learn how to use the power of Docker and Kubernetes to deploy your Rails applications easily and efficiently. 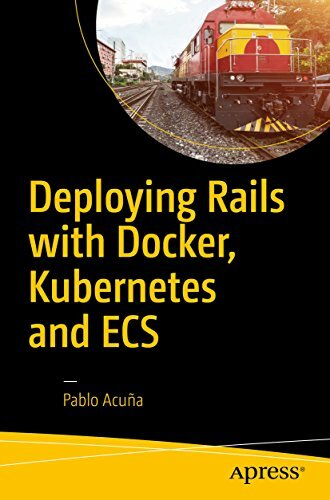 Deploying Rails with Docker, Kubernetes and ECS shows you how to set up the project, push it to DockerHub, manage services and set up an efficient continuous integration environment. Every concept is clearly explained alongside a full Ruby on Rails application deployment. You’ll also learn how to deploy via Docker using Amazon EC2 Container Service. Docker and Kubernetes are increasing in popularity every day, but what if you want to leverage their benefits for your Rails application? This is the quick guide you need. This book is for anyone who wants to understand how to effectively deploy a Rails application using Docker and Kubernetes. You will need to understand Rails and have basic knowledge of what Docker and Kubernetes are used for.